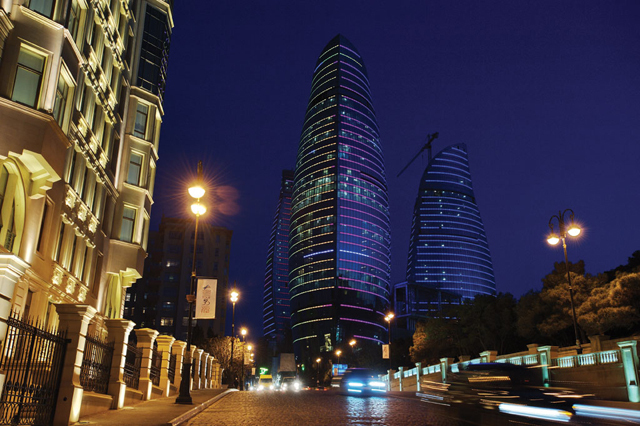 BAKU, Azerbaijan, May 5 2017 (IPS) - The integration of migrants in cities, countering the rise of violent extremism, as well as youth radicalisation on the Internet have been some of the key issues discussed at a United Nations forum in Baku, Azerbaijan. The Fourth World Forum on Intercultural Dialogue (May 5 – 6) hosted by Azerbaijan under the theme ‘Advancing Intercultural Dialogue – New avenues for human security,peace and sustainable development’ examined effective responses to challenges facing human security, including massive migration, violent extremism and conflicts. The focus has primarily been put on the role of faith, religions, migration, human security, sport, education, art, sustainable development, violent extremism, business in building trust and cooperation among cultures and civilizations. According to the UN Alliance of Civilizations (UNAOC), the Forum provides a platform to discuss the way forward to build societies based on genuine respect for everyone’s rights including freedom of belief, equal opportunities, and good governance as well as an inclusive framework of tolerance and respect for diversity. Organised in partnership with UNAOC, the Council of Europe, the Islamic Educational, Scientific and Cultural Organization, the North-South Center of the Council of Europe, and UNESCO, the Forum brought together heads of government and ministers, representatives of inter-governmental organisations, the private sector, policy-makers, cultural professionals, journalists and civil society activists. Ahead of the Forum, the network of the UNESCO Silk Road Online Platform met at the Baku Congress Centre to examine progress made in its 2016-2018 Action Plan. As part of the preparations for the Baku Forum, about 150 youth representatives from around the world gathered at the UN Alliance of Civilizations’ 7th Global Forum (See: BAKU: youth chart vision of inclusive society at UN forum) in Baku, Azerbaijan, 25-27 April 2016. Young people of all walks of life, from an Internet technology intern to a dentist, have been working to define future narratives to counter potentially compelling discourse of those who seek to divide society. “People are disconnected because they don’t know each other’s experiences,” Rashida M. Namulondo, a storyteller and actress from Uganda, told communities, and platforms of action, told the UN News Centre during the pre-opening event of the UNAOC’s Global Forum, Baku April 2016. Namulondo operates an online platform through which people can share each other’s experiences. “It is important that we tell our stories and listen to other people’s stories,” she said, emphasizing the power of storytelling to heal people’s hearts. Having been displaced to a neighbouring country, he returned home to start a health-training venture. “A lot of youths are not educated, and therefore are messing up the country as I speak,” he said. Shuhei Sakoguchi, a student at Soka University in Japan and a Buddhist, said he joined the thematic group on interfaith because every religion has good principles. For Minh Anh Thu, of Viet Nam, said she was inspired by many peers who engage in innovative intercultural projects, and this youth event was an opportunity to think about community development and investment in youth in her country. Addressing the youth to the Global Forum, UNAOC High Representative Nassir Abdulaziz Al-Nasser highlighted their ability to transform the world for the better. 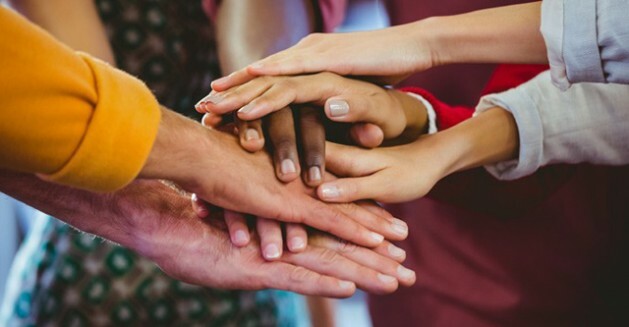 “For the Alliance, inclusive societies cannot exist without the full participation of youth,” he said, stressing that UNAOC’s youth-focused activities and programming are built on the principle that young people are the primary agents of change – not just in the future – but in the present as well. 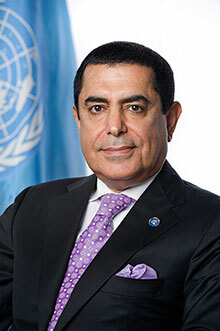 Al-Nasser, of Qatar, who held the presidency of the UN General Assembly for its 2011/2012 session and now heads up the UNAOC as the Secretary-General’s High Representative, said that the recent rise of violent extremism and terrorism worldwide only strengthened his work and mandate. Given this situation, UNAOC’s work must be more visible than ever, he stressed, noting that his priorities also include addressing issues related to the growing migratory flows that are threatening international peace and security, and the spread of negative narratives, such as hate speech on social media. According to UNESCO, a boom in the world’s population (more than 7 billion in 2017), the power of technology, more salient human mobility, and the increased flow of goods and ideas across borders have brought cultures much closer together in the 21st century in ways unimaginable only a few decades ago. The Forum gives added impetus to the UN International Decade for the Rapprochement of Cultures (2013-2022), for which UNESCO is the lead agency within the UN.